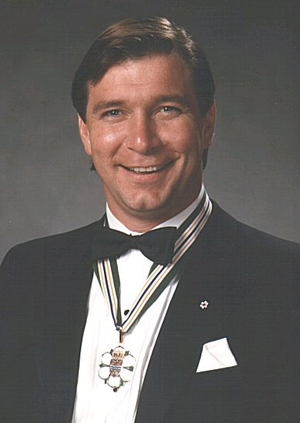 Rick Hansen exemplifies the triumph of determination over personal tragedy. 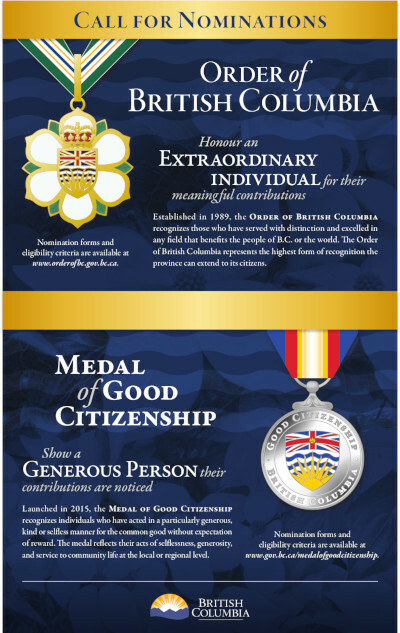 He thereby has set, for all British Columbians, the highest standard of individual accomplishment in the face of adversity. During his early high school days in Williams Lake, Rick was a superb athlete, receiving all-star awards in five sports. Then tragedy struck, but through a remarkable personal adjustment, Rick turned his tragedy into triumph. Rick began coaching, using his wheelchair in sports, and set his sights on a degree in physical education. He became skilled in wheelchair basketball and the driving force on a team that achieved five national titles in six years. He went on to become both the National Disabled Athlete of the Year in 1979 and to share the Lou Marsh Trophy with Wayne Gretzky as Canada’s Outstanding Athlete of 1983. Rick had a dream – to change public attitudes and to improve the prospects for those who had suffered spinal cord injury. In the two-year “Man in Motion Tour” he mobilized his dream into action. It took strength of character and determination of the highest order. He achieved the tour’s twin goals in spades. 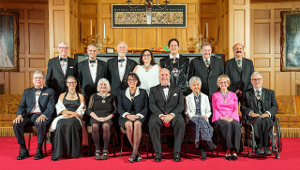 He is the recipient of many awards, including the Order of Canada. The dream goes on. 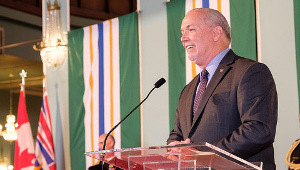 He continues to take a leadership role on behalf of the disabled and has spearheaded the creation of the Disability Resource Centre at U.B.C. which will help remove barriers faced by disabled students not just at U.B.C. but across the Province. His alma mater, the University of British Columbia, has honoured him with a Doctorate of Law and he is now the first incumbent of the Rick Hansen National Fellowship. 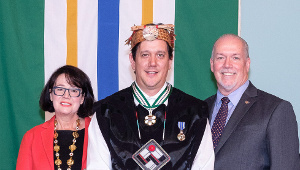 Rick has become the national hero of our time and has been a role model not only for the disabled but for all British Columbians who have the will to achieve despite adversity. He has exemplified for us all the true nature of courage and character.